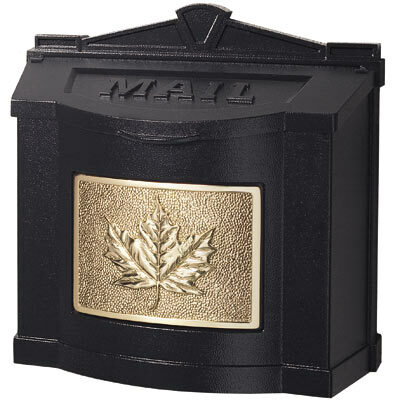 Slightly smaller than our popular Ecco 4 wall mount mailbox series the Ecco 5 mailbox still features the same winning, classic, curved frame design. 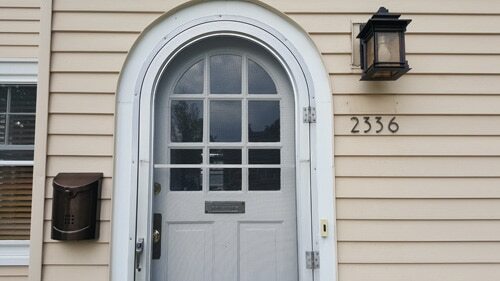 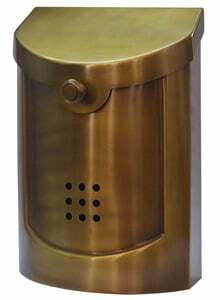 The Ecco 5 mailbox also has the same nine punched out peep holes that allow you to see when mail has been delivered. 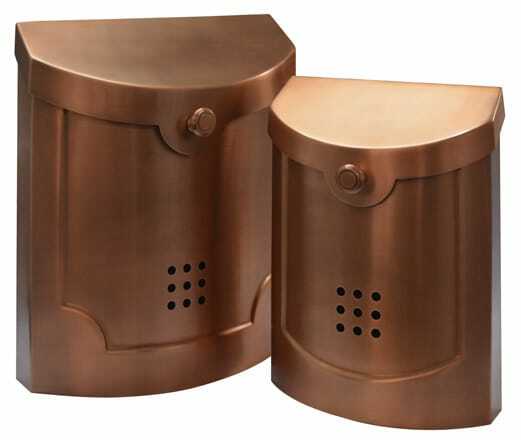 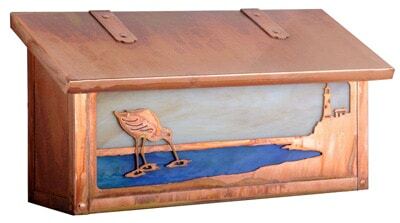 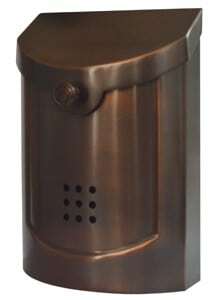 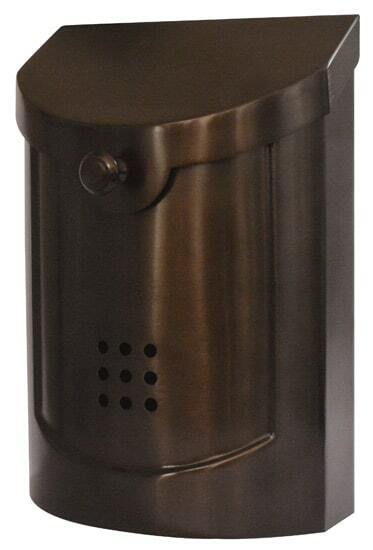 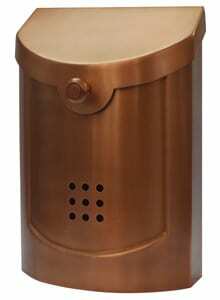 The wall mount mailbox itself is made from 18 gauge brass with six optional Ecco 5 mailbox finishes that include E5CP copper, E5AC antique copper, E5BS satin brass, E5NK satin nickel, E5BZ bronze and E5BP black pewter. 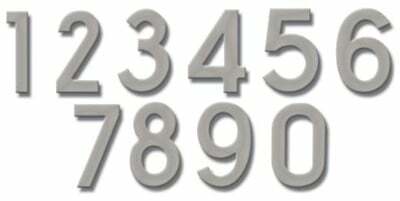 Ask us about matching house address numbers to compliment your new Fuoiserie Ecco 5 wall mount mailbox and the contemporary finishes of you home’s other exterior hardware. 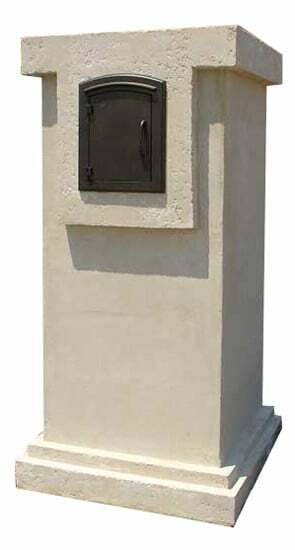 All Ecco mailboxes carried by The MailboxWorks are USPS approved for mail and small package delivery. 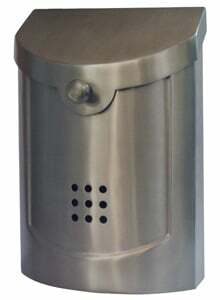 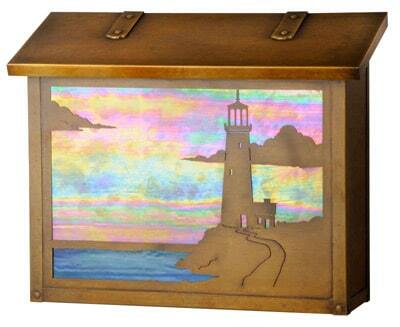 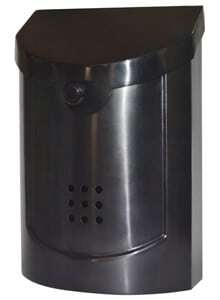 Check out all our available Ecco mailbox designs including wall mount and post mount Ecco mailboxes.